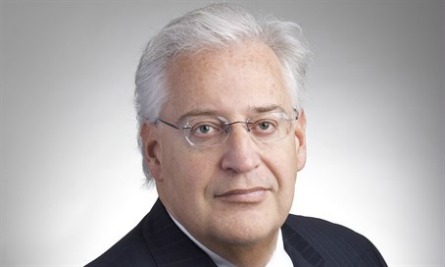 Donald Trump’s proposed US envoy, David Friedman. Photo: Kasowitz website. JNS.org — David Friedman, President Donald Trump’s nominee for US ambassador to Israel, has managed to anger Jewish Voice for Peace, J Street, US Rep. Jan Schakowsky (D-Ill.) and the Union for Reform Judaism. It’s a safe bet that every Jewish leftist who ever cut a check to the New Israel Fund is enduring sleepless nights. Friedman must be doing something right. The nomination reflects a growing divide in the Jewish community, one that was partially etched into the voting returns in Brooklyn on election night. The Orthodox neighborhoods voted for Trump. The secular ones went for Hillary Clinton. This, however, is only a partial indicator of a growing chasm in the American Jewish community between liberal Jews who are incapable of separating their Jewishness from allegiance to the Democratic Party, and the growing number who are rejecting the party of former President Barack Obama and his second term’s secretary of state, John Kerry. They are the political leaders who made Iran a nuclear power, and their party has nominated US Rep. Keith Ellison (D-Minn.) to head its national committee despite Ellison’s past ties to the Nation of Islam and his defense of its antisemitic leader, Louis Farrakhan. The legacy of Obama and Kerry is changing the calculus of American Jewish voters. The political apostasy has caused families to rupture and friendships to unravel, and has been exacerbated by Trump’s unanticipated victory. The intensity is palpable, as seen in Peter Beinart’s questioning of Jared Kushner’s Jewishness in The Forward. Liberal Jews not only believe they have a monopoly on the moral high ground, but their corrupted perspective of “tikkun olam” (repairing the world) has justified actions that have made the world a more dangerous place for both Jews and Christians. Lara Friedman’s use of her blog in The Hill to impugn David Friedman’s loyalty is a reckless reinforcement of antisemitic stereotypes. If David Friedman is appointed ambassador to Israel, he will swear an oath of allegiance to the US, not the state of Israel. That the dual loyalty accusation against Jews represents a double standard is abundantly clear from the fact that nobody in the mainstream of America dared raise the issues that Barack Obama’s father was a Muslim, that his stepfather was a Muslim, that his African grandmother was a Muslim and that his African family members are Muslims. The former president attended a madrassa in Indonesia and has a Muslim name. It was essentially forbidden to say that Obama had Muslim sympathies. Any remote allusion to Obama having any relationship with Islam was considered inappropriate for public discourse. But no such consideration is granted to David Friedman, certainly not by leftist Jews, because Friedman plans to implement Trump administration policies that are totally at variance with the policies that the liberal-dominated American Jewish community considers sacrosanct. For more than 60 years, the Jewish community leadership has bought into the fable of a democratic, secular Palestinian state living side by side in peace and security with a Jewish state. It hasn’t happened. It isn’t going to happen because the conflict is not about borders and settlements, but about the Jewish state, which the Palestinians see as one big settlement. David Friedman is perceived as a disrupter. He is already reshaping conventional thought about the Israeli-Palestinian conflict, and even before he is confirmed, he is forging new ideas that progressives find appalling. J Street — which even Obama eventually silenced, giving the group’s seat at the progressive table to a revamped Israel Policy Forum — has been further discredited on Capitol Hill by the emergence of the CUFI Action Fund, a Christians United for Israel (CUFI)-affiliated lobby group. This is a substantially different set of proposals than that of the previous administration and much of the liberal Jewish community. An American ambassador who is committed to confronting the intractable problem of the Israeli-Palestinian conflict with this new vision will expose the irrelevance of the Jewish community leadership. That is why they fear David Friedman’s appointment. Abraham H. Miller is an emeritus professor of political science at the University of Cincinnati, and a distinguished fellow with the Haym Salomon Center. Paul Miller is president and executive director of the Haym Salomon Center.